During the summer of 1915, author Theodore Dreiser visited North Manchester. Dreiser's impressions and observations of our community were immortalized on several pages in his autobiographical A HOOSIER HOLIDAY. When I first read this book, I was intrigued by some of Dreiser's statements. This article attempts to answer some questions I initially had at that time. What was Dreiser doing in North Manchester? Living and writing in New York City, Dreiser had accepted an offer from his artist friend Franklin Booth to join him in motoring from New York City to Indiana during the month of August, 1915. Booth's childhood home was Carmel, Indiana. Dreiser had also spent much of his youth in the Hoosier state—Indianapolis, Evansville, Terre Haute, Sullivan, Indiana University-Bloomington (1889) and four years living and going to public school in Warsaw, Kosciusko County. What books and writings were authored by Dreiser? Novels and works written by Dreiser (1871-1945) in addition to A HOOSIER HOLIDAY include: Sister Carrie; The Titan; An American Tragedy; The Financier; Jennie Gerhardt; The Hand of the Potter; Dawn, among others. Dreiser also claimed to have supplied some of the lyrics to his brother's (Paul Dresser) music, "On the Banks of the Wabash River." This song was adopted as the official Indiana state song in 1913. What makes A HOOSIER HOLIDAY so special? Dreiser's 1915 travel account was accompanied by Booth's artistic sketches of scenes along the way. Dreiser furnishes his own musings and reflections, philosophy of life, views on democracy, and evaluations of the several changes taking place in American society. Booth and Dreiser had an experienced chauffeur named Speed, also from Indiana. Speed was both driver and mechanic who did the service and repair of the automobile that was manufactured in Indianapolis--"a handsome sixty-horsepower Pathfinder, only recently purchased, very presentable and shiny." To undertake a lengthy expedition by automobile in 1915 was still a relatively novel experience. It was also in that year that New York socialite Emily Post with two companions made a cross-country jaunt by car. Dreiser provides an engaging account of the road conditions between New York and Indiana and of the people, businesses and establishments along the two-week, 2,000-mile pilgrimage. This was before the Lincoln Highway was completely macadamized, and before the development of a roadside infrastructure of restaurants, hotels, motels, gas stations. Emily Post also documented her own 1915 experiences during her 26-day trip in a book, BY MOTOR TO THE GOLDEN GATE (1916). Even Lt. Col. Dwight D. Eisenhower was involved in a transcontinental convoy trip in 1919. In this time period there was considerable experimentation in taking long auto trips. Douglas Brinkley wrote a perceptive Introduction, "Theodore Dreiser and the Birth of the Road Book", to the Indiana University Press Edition (1997) of A HOOSIER HOLIDAY; my page references are to that edition. Another Indiana author—Booth Tarkington— had predicted, "Within only two or three years, every one of you will have yielded to the horseless craze and be a boastful owner of a metal demon." Brinkley contends that Dreiser ushered in a new genre, bringing the automobile to the forefront of American literature. Dreiser observed, "America is so great, the people so brisk. Everywhere they are fiddling with machinery and production and having a good time of it." And he thought that automobiling would produce a liberating effect on America's middle class. What were some of Dreiser's "firsts"? Dreiser remembered that the first electric light he ever saw was in Evansville in 1882. The first telephone he ever saw was in 1880 or thereabouts. He did not see a trolley car until Chicago in 1888 or 1889. He saw his first bicycle, a high-wheeled model, in 1884 in Warsaw. In 1885 he first saw roller skates, also in Warsaw. The first milk shake and ice cream soda he ever tasted were in Warsaw, 1884-1885. Dreiser recalled that the first picture postcards he ever found were in 1896 in Chicago. Collecting picture postcards of the towns and communities along the way was enjoyed by Booth and Dreiser during their trip. Dreiser's first mention of North Manchester can be found on page 258 as they are traveling through Ohio and approaching Indiana: "We were entering a much fairer land—a region extending from the Maumee here at Grand Rapids, Ohio, to Fort Wayne, Warsaw and North Manchester, Indiana…." Here he must have had North Manchester on his mind, and I wanted to find out why our town was mentioned while they were still in Ohio. Dreiser once considered buying and editing a newspaper in the small town of Grand Rapids, Ohio, but he ultimately steered his career in a different direction. 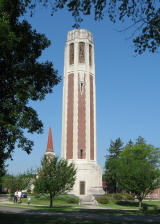 After visiting his old haunts in Warsaw, Indiana, Dreiser and Booth continued southward. On pages 333-348 North Manchester is prominently mentioned. To my mind, the aforementioned family references begged to be explained! The rest of this article, Part I, will highlight some of Dreiser's maternal family history, especially as it relates to vicinity of North Manchester. Part II will be published in the next issue of the Newsletter, covering some encounters Dreiser had on the streets of North Manchester. Dreiser also made several observations about the upcoming North Manchester's "Tent Chautauqua". His fleeting glimpses of life in our community do provoke some response, explanation or interpretation. The Dreiser family ensemble. Sarah Snep (1834-1891) married John Paul Dreiser (1821-1900) in 1851. They had a large family with ten children: John Paul, Jr. (1858-1906); Rome ( -1900); Mame (1861-1944); Emma ( -1937); Theresa ( -1897); Sylvia ( -1945); Al (1867-); Claire (1869-1898); Theodore (1871-1945); Edward (1873-1957). The Dreisers never seemed to achieve a "sense of place." The family moved frequently. "Making ends meet" was exceedingly difficult. Theodore did not care for his father's rigid Catholicism or for Catholic schools (Terre Haute, Sullivan, Evansville). He did have a "soft spot" for his mother and viewed her with gentle affection. This was reflected in the lyrics he contributed to the official song of Indiana, "On the Banks of the Wabash, Far Away"--"Oftentimes my thoughts revert to scenes of childhood,/Where I first received my lessons, nature's school./But one thing there is missing in the picture,/Without her face it seems so incomplete./I long to see my mother in the doorway,/As she stood there years ago, her boy to greet." Theodore Dreiser's mother was a SNEP. Theodore's maternal grandparents, Henry and Esther Snep, were early settlers in southern Kosciusko County (Clay, now Lake Township). It was a challenge to research this Snep branch inasmuch as the family name had various spellings in historical records such as censuses, deeds and court records: Snep/Snepp/Shnep/Sheneb/Shenep/Schneb/Schnebb. The family of Henry Snep can be found in the 1840 Federal Census for Preble County, Ohio. By 1850 the family had removed to Clay/Lake Township, Kosciusko County. The initial land transactions were just to the north of the German Baptist Church (now West Eel River Church of the Brethren) and east of Silver Lake. I found several land transactions in southern Kosciusko County in which Henry and Esther Snep/Sheneb were involved, 1848-1859. (See Kosc. Co. Deed Record Books 7:571, 8:453, 9:159, 9:160, 13:561,18:287, 18:290, 18:291, 19:166-167, 19:371) Henry Snepp/Schneb is in the Clay/Lake Township Assessor's Books for 1846-1847, 1850, 1851, 1852, 1853, with detailed lists. For instance, in 1853 Henry D. Sheneb owned 2 horses valued at $70, 1 cattle $10, 5 sheep $4, 2 swine $5, farm tools $10, furniture $25, 15 bu. corn $3, 15 bu. potatoes $3, 1 barrel pork $2, land value 40 acres $140, improvements $175. Uncle Martin's Fruit Farm. The 1879 farm plat maps show that M. Fruit owned 78.3 acres in Jackson Township, Kosciusko County, just north of the county line. This farm extended into Chester Township of Wabash County and included 19 acres to the south of the county line, a little more than one mile north of Timbercrest. The distance to the German Baptist Church (Eel River) was about three miles. Martin Fruit had purchased this Wabash County acreage from Jonathan and Mary Ulery on July 26, 1867. He is also listed in Trusler & Parmenter's Wabash County Directory for 1894. Neighboring families were: Snep, Ulrey, Snell, Arnold, Cripe, Metzger, Mishler, Heeter, Miller, Knoop.Lester Binnie (Early Brethren Families, p. 171) shows that Martin and his brother Joseph Fruit pledged in 1896 sums of money toward a new German Baptist Brethren church house, Eel River District. According to Dreiser, his brother Al spent summer months living with relatives and working on this farm about 1878-1879. One can find from the June 1880 Agricultural Census that the Martin Fruit farm in Jackson Twp included 60 acres tilled; 5 acres orchards or meadows; 40 acres woodland. Farmland and buildings were valued at $4000; implements and machinery, $50; livestock, $450. The estimated value of all farm production for 1879 was $400. In 1879 Martin Fruit harvested 18 tons of hay; had 8 horses of all ages on hand (June 1, 1880); 3 milk cows; 3 other cattle; 3 calves dropped; 7 cattle sold in 1879; 1 slaughtered. Fifty lbs of butter were produced on the farm in 1879; 5 swine were on hand (June 1, 1880); 35 poultry; 300 eggs produced in 1879. Fruit harvested 8 acres of Indian corn in 1879; 400 bushels of corn; 4 acres of oats; 140 bushels of oats; 8 acres of wheat; 225 bushels of wheat; 10 bushels of potatoes (Irish) in 1879. There were 80 bearing trees in an apple orchard; 400 bushels of apples. Fifteen cords of wood were cut in 1879 on the Fruit farm. Such is the statistical detail that one can glean from the Agricultural Census! Uncle Martin's fruit farm did have an apple orchard! The importance of the Agricultural Census was even mentioned in one of Dreiser's articles (Harper's Monthly, November 1900). It is less well known that Theodore Dreiser's early publications included magazine articles related to apple growing and fruit orchards. See Dreiser, "Apples: An Account of the Apple Industry in America," Pearson's (Oct. 1900), 336-340; and "Fruit Growing in America," Harper's Monthly (Nov. 1900), 859-868. It is also generally not known that Dreiser researched the tobacco industry, tobacco tycoons and the tobacco wars at the turn of the century in Kentucky. His unpublished research notes furnished the outline for a novel authored by Borden Deal, THE TOBACCO MEN. How does Martin Fruit relate to other Fruits? Occasionally in doing research, I come across a document that can place several pieces of a puzzle together at once. At the Kosciusko County court house, I discovered a Warranty Deed dated June 1, 1861, that had the signatures of both Martin and wife Sophia, as well as the signatures of all his siblings and their spouses! (Deed Book 21, p. 191) This land transaction involved eighty acres sold to Samuel Ulery. By 1861 Martin's older brother George had died, but the rest of the family held ownership: Martin Fruit and wife Sophia; Joseph Fruit and wife Hannah; Christian Fruit and wife Frances (Snell); Ludwick (Lewis) Fruit and wife Hattie or Annetta; Valentine Fruit; Frederick Naber and wife Catharine who was Martin's sister. The current proprietor of North Manchester's Fruitt Basket Inn is a direct descendant of Martin's brother Christian who married Frances Snell. What existing document shows Sophia Fruit to be Theodore Dreiser's aunt? With the assistance of Janet Kirkpatrick of the Kosciusko County Genealogy Library, I was able to locate the will of Sophia Fruit, widow of Martin Fruit, deceased. Her will was dated September 16, 1907. Item 5: "I give, devise and bequeath to my sister, Susannah Arnold, and to her daughter, my neice Jennie Grove, each the sum of twenty five dollars..." Susannah Arnold was a sister to Dreiser's mother Sarah. In Sophia's will, we also learn that "my said executor shall see that my body shall be buried beside my said husband in the Lower Union Cemetery, in said Chester Township." Why were Dreiser's uncle and aunt buried in the "Lower Union Cemetery", now known as the Pleasant Grove Cemetery? Given that their infant daughter had a burial site at the Ulrey Memorial Cemetery located behind the Eel River Church of the Brethren on State Road 14, I wanted to learn more about Union Cemetery situated in the country just southeast of Liberty Mills. For some background, I turned to Ferne Baldwin (see Newsletter, May 2002, No. 2) and Harry L. Leffel's Pioneer Reminiscences. John Simonton, Sr., and a group of relatives were among the earliest settlers in Chester Township. They had arrived on October 1, 1835, from Preble County, Ohio. [Recall also that the Henry Snep family had originated in Preble County.] Simonton purchased 160 acres. Simonton creek flows through the Simonton land just north of the church and cemetery and into the Eel River west of the Pleasant Grove Church. Simonton's granddaughter Mary died at age 6 on July 4, 1839, and was buried on the southwest corner of the Simonton farm. This was the second death recorded in Chester Township. (Helm, History of Wabash County, p. 275) Simonton set aside a half acre of ground for a cemetery and also a site for a church. He stipulated that people of any denomination could use the church for funerals, hence the "Union" designation. John Sr. and wife Elizabeth who died in 1852 and 1851, respectively, are both buried there. Frederick Naber became the owner of the Simonton land which is now the Peden farm. Naber's wife was Martin Fruit's sister Catharine. Frederick (d. Dec. 24, 1890; age 62 years and 10 months) and Catharine (d. May 2, 1906; age 73 years, 5 months, 14 days) Naber are buried in the same row as Martin and Sophia Fruit (Row 1 at the east side of the cemetery). In Sophia Fruit's will, a Jennie Parrett, daughter of Andrew Parrett, received $150. Jennie had cared for Martin and Sophia in their home, and Jennie is listed in the 1900 Federal Census as living with Sophia Fruit after Martin's death. Andrew Parrett and wife are also buried in the Pleasant Grove Cemetery, as is the executor and administrator of the Sophia Fruit estate, William T. Banks (and wife). An inventory of the personal estate of Sophia Fruit can be found at the Kosciusko County Genealogy Library. It is a very detailed listing on several pages. Her estate included several bank certificates at North Manchester banks and personal notes, buggy, sleigh, harness, sleighbells, sleigh robes and blankets, crops, tools, kettles and utensils, livestock, cook stoves, furniture, cane bottom chairs, quilts and quilting frame, flax wheel, spinning wheel, bed steads, feather beds, blankets, comforters, music box, books, rockers, sewing machine, coal stove, looking glasses, silver watch, and canned fruit! This article is continued in the May 2009 issue of the NMHS Newsletter.